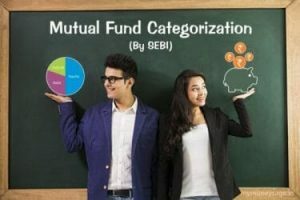 The big announcement last year in the mutual fund industry was categorization and rationalization of mutual fund schemes by SEBI. The market regulator sought to bring uniformity in the characteristics of similar schemes to ensure that an investor is able to evaluate various options before making any investment. It is said that fund houses shall be allowed to have just one scheme per category. This is except in categories like index funds, fund of funds & sectoral funds. This will simplify selection of funds for investors and advisors. Due to standard categorization, comparison of schemes will be easier and one would be able to conduct an apple-to-apple comparison for each category. Similar schemes will have to be either merged or reclassified into different category. Due to the ‘1 scheme per category’ criteria, there would be a reduction in duplication of schemes. Several fund houses have recently merged, change names and basic attributes of some schemes to comply with the new SEBI norms. Sectoral Fund 80% of assets in equity of a particular sector/theme Fund house can have different sectoral funds like Pharma Fund, banking Fund etc. *Stocks are as per AMFI’s list of Average Market Capitalization of listed companies during the six months ended 31st December 2017. AMFI will upload the list of stocks on its website every six months based on data at the end of June and December every year. Portfolio rebalance has to be done in subsequent 1 month. Overnight Fund Invest in securities with maturity of 1 day Good Alternative to savings account. Equity Savings Equity- 65% & Debt 10%, rest in hedged/unhedged instruments Equity oriented for tax purpose. Invest in equity, arbitrage & debt. *Mutual funds will be permitted to offer either Balanced Hybrid or Aggressive Hybrid.